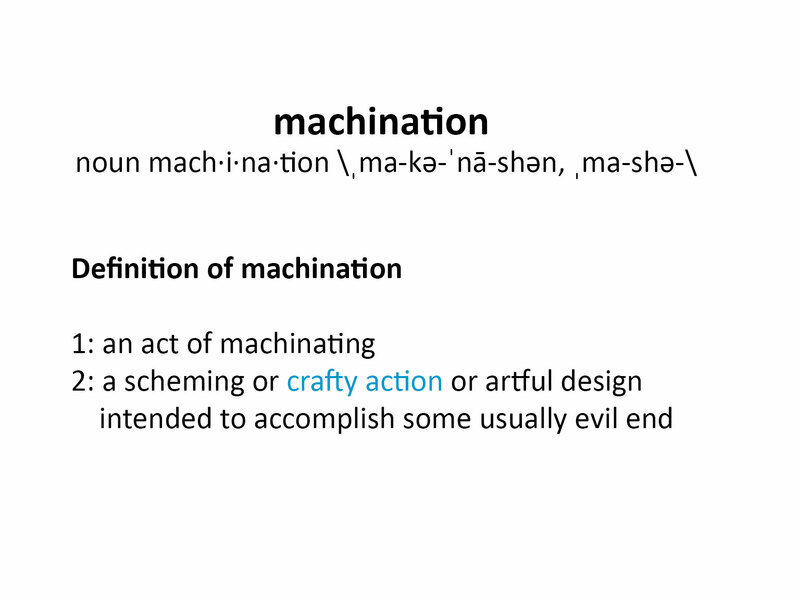 Since I’ve been writing fewer posts, and sewing at a slower pace, it seemed silly to write monthly posts outlining my sewing plans, so I’ve decided to do it seasonally instead. Apparently in the UK we are going to experience a 3-month long heat wave, which some people would call ‘Summer’ but that’s not a normal Summer for us – usually it’s warm for a week or two, then cold again for weeks. So since it’s going to be consistently warm for a couple of months, I need some clothes to keep me feeling cool. 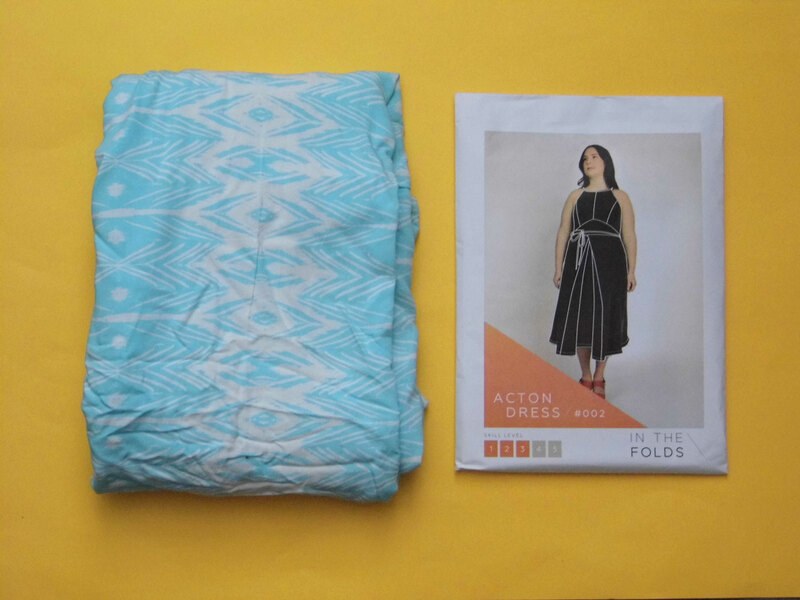 My first plan is to make an Acton Dress, probably out of this turquoise viscose I bought online ages ago. I slightly went off is as soon as it arrived, but I’m digging the idea of a floaty Summer dress. I don’t know which view of the pattern to make either, yet. 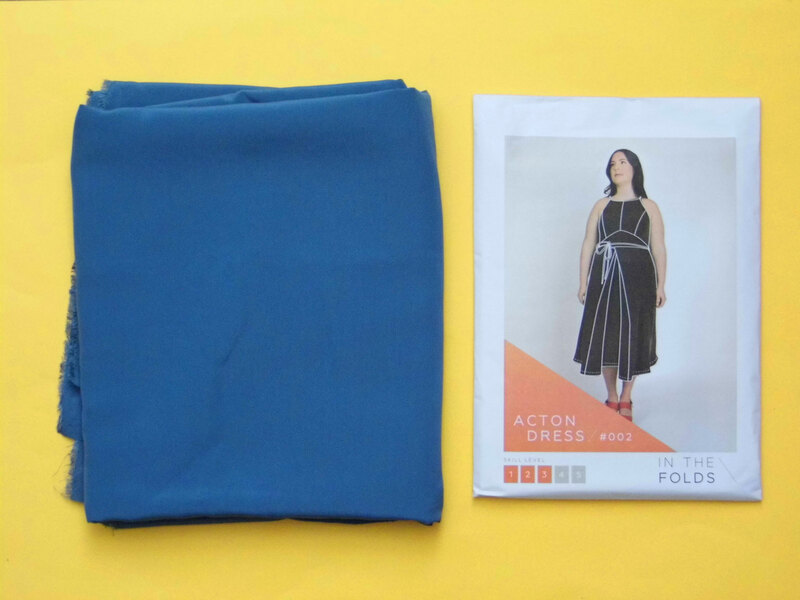 My other option of fabric for the Acton is this blue cupro which I originally ordered as a lining for my coat, but which was too dull a shade of blue to work with the wool. 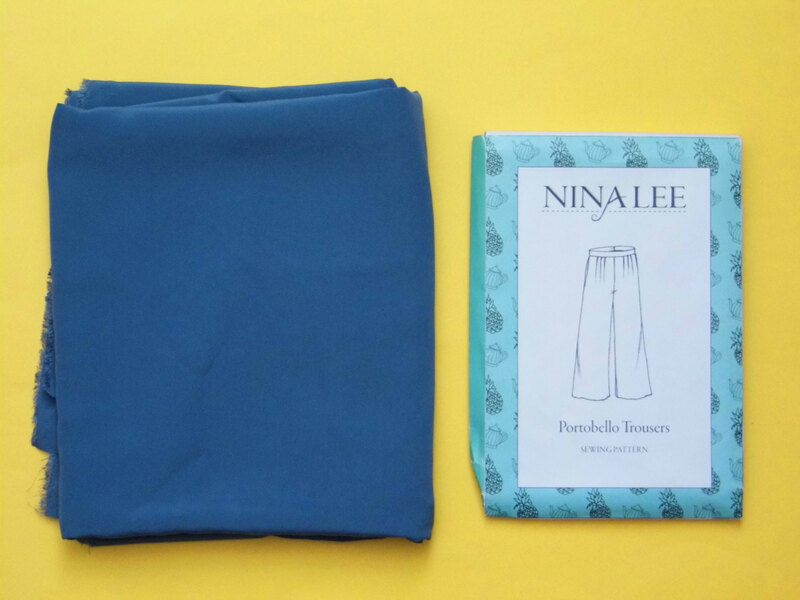 But I’ll probably use the curpro for a pair of Nina Lee Portobello trousers. 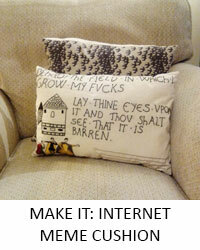 I think it will be perfect for a Summer pair of trousers. 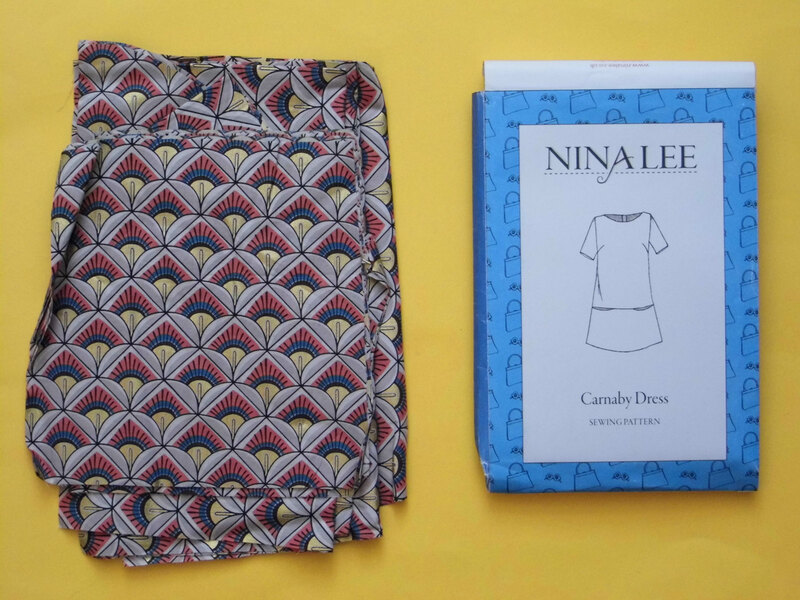 And speaking of Nina Lee, I’ve got plans for a Carnaby Dress made from this deco-ish style fabric from Sew Over It. 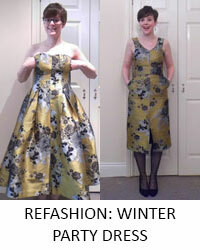 I bought the fabric on a total whim, because it was almost sold out, and I’m so glad I did! 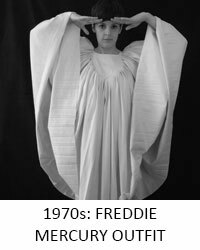 I’ve already got this dress cut out, so hopefully I will actually get this one made. And I can probably wear it with tights and a cardigan in the Winter too. And speaking of shift dresses, I’m giving the Colette Laurel another go, with the ruffled sleeves, which I now like, a year after they were in fashion! I made a couple of Laurels a few years ago but I got rid of them both as they were a bit snug and uncomfortable, so I’ve gone up either one or 2 sizes, I can’t remember which. My final Summer dress plan is for this turquoise cotton drill (I think) Inari Tee dress. I actually cut this out last year and never got around to making it, so fingers crossed it happens this year. 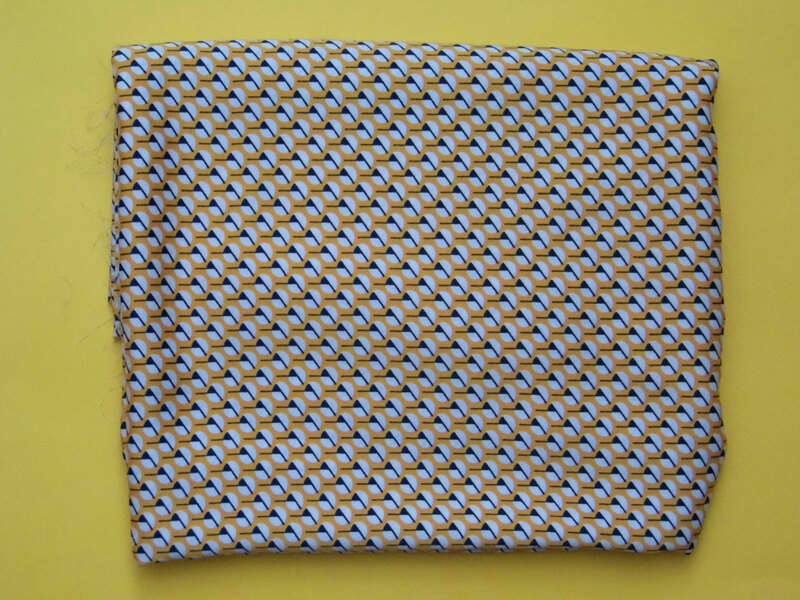 The fabric is years old – I bought it on one of my first trips to Goldhawk Road, when I knew very little about fabric. I wouldn’t be me if I didn’t plan to make another shirt. I bought this peach skin from Fabric Godmother a couple of months ago and I think it would make a great Blaire Shirt by Style Arc. I might try to play with the direction of the pattern in the fabric, given that the seam lines are begging for it, though stripes would work better. Maybe the next one! 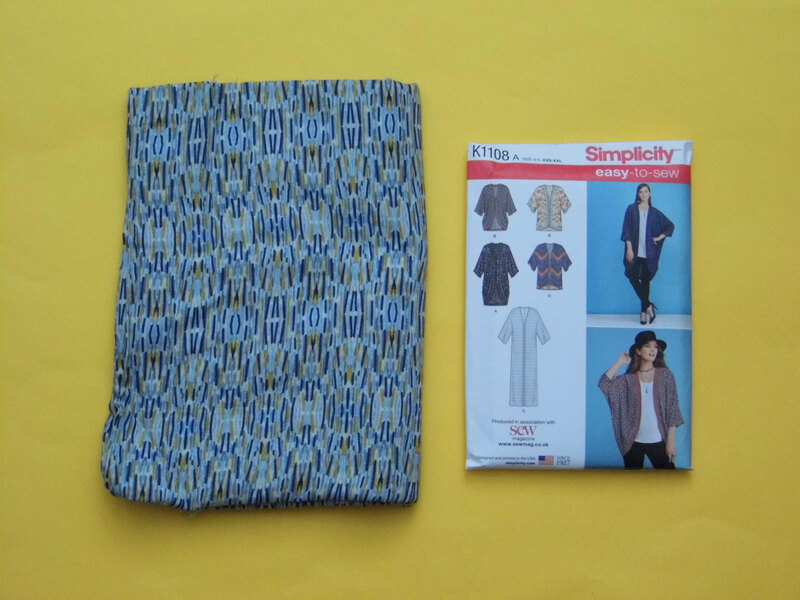 One thing I definitely want to make time to sew is a kimono from this Simplicity pattern I got free with a sewing magazine, I think Love Sewing. 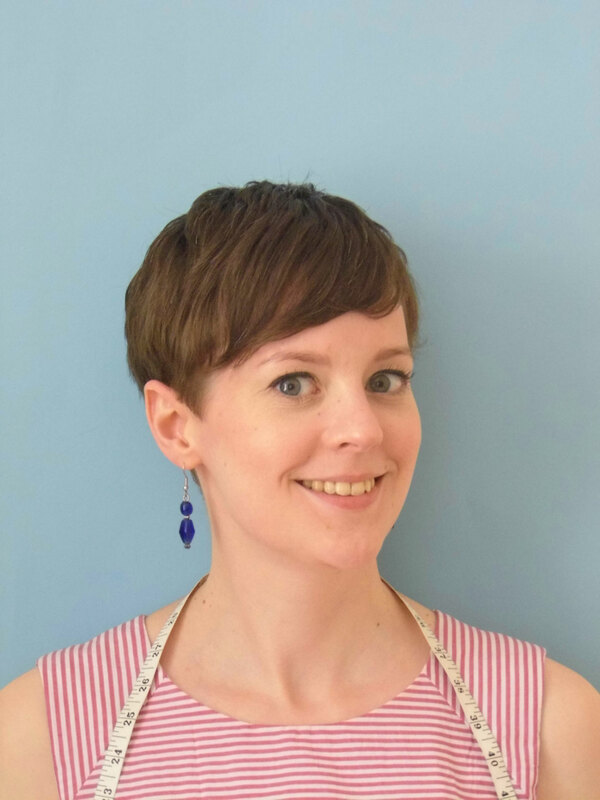 I have this lovely cotton lawn from Sew Me Sunshine, which I snapped up as soon as she got it in stock because I had tried to buy it last year but everyone was out of stock. 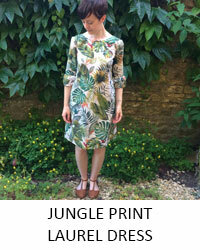 I think this will be the perfect Summer cover up for when it does get a bit chillier. 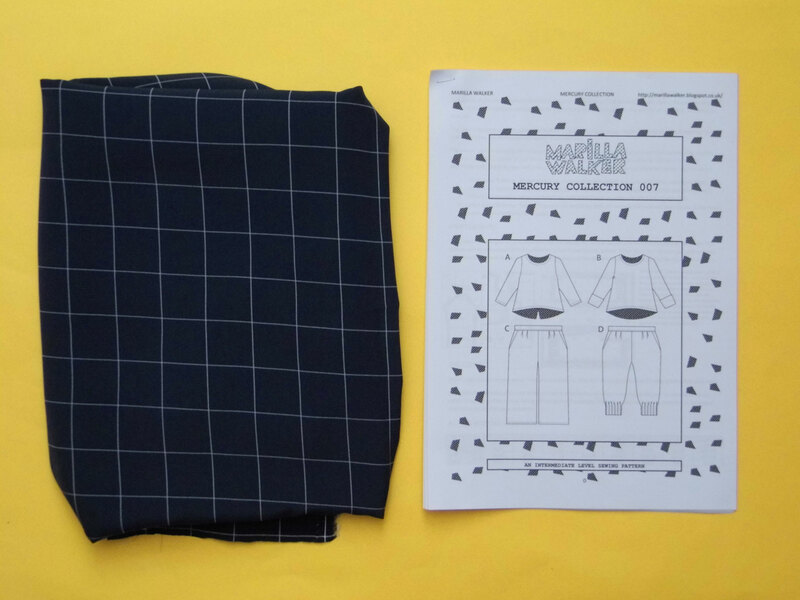 Another buy from Sew Over It is this navy blue checked crepe, which I think will be the perfect fabric for a pair of Mercury trousers. 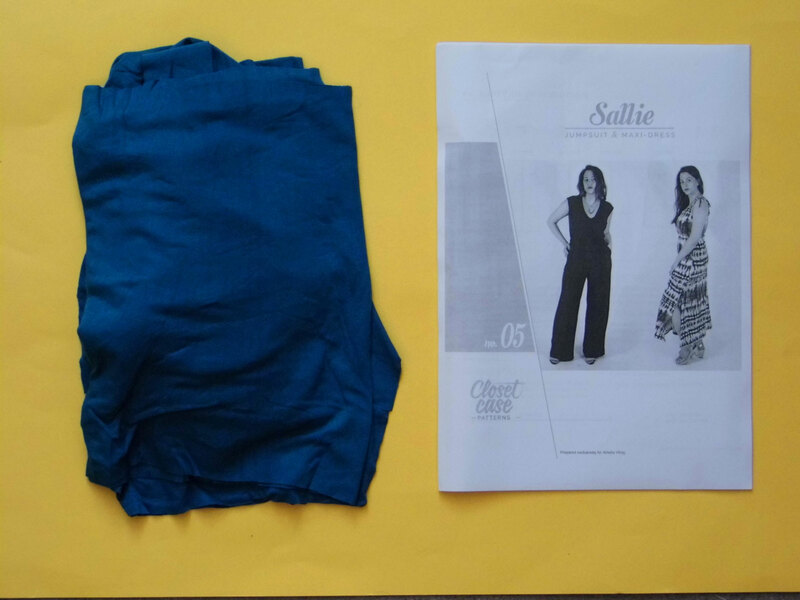 If you’re still reading at this point, you may be thinking that this is a lot of things to make for a Summer which has already started, and you’re probably right – I wouldn’t be surprised if this Salle Jumpsuit gets bumped again to next year. It’s already been sitting around, cut out, for a year, with the Inari Tee Dress. 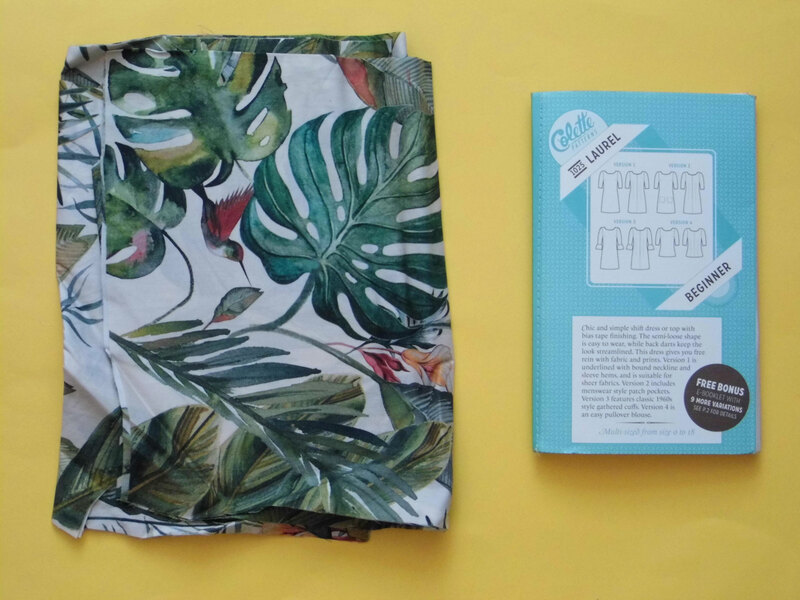 I’m going to end this post with a plea – what can I do with this beautiful crepe (I think) from Sew Over It? It has a gorgeous drape, but I don’t want to make another dress as I already have probably too many planned as it is. I fear it is too jazzy for me to reasonably wear as trousers, so maybe some kind of top? I’ve got 2m. Suggestions very welcome! Great plans and lovely colours! 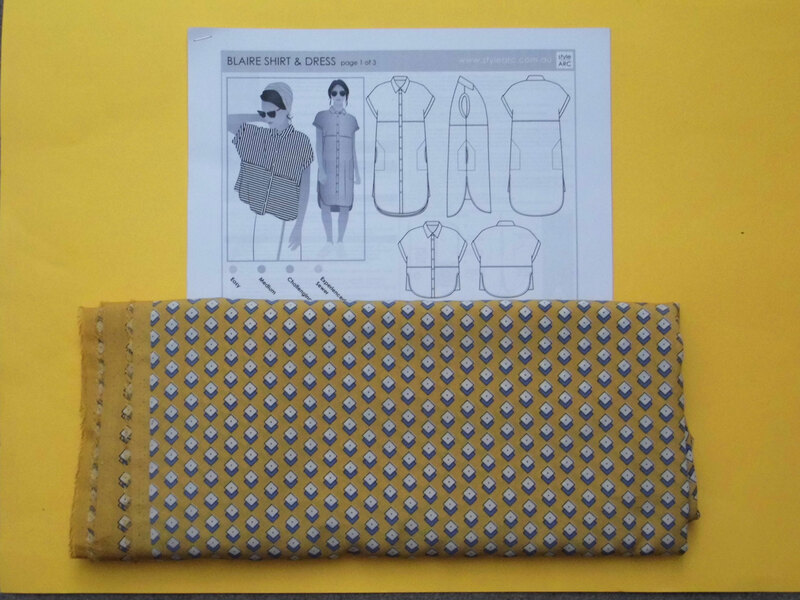 That fabric looks great for a shirt or shirtdress (but maybe might be too similar to the Blaire you have planned). How about a jumpsuit? I do love shirts, so that was my first thought. I hadn’t considered a jumpsuit, that’s a brilliant idea! 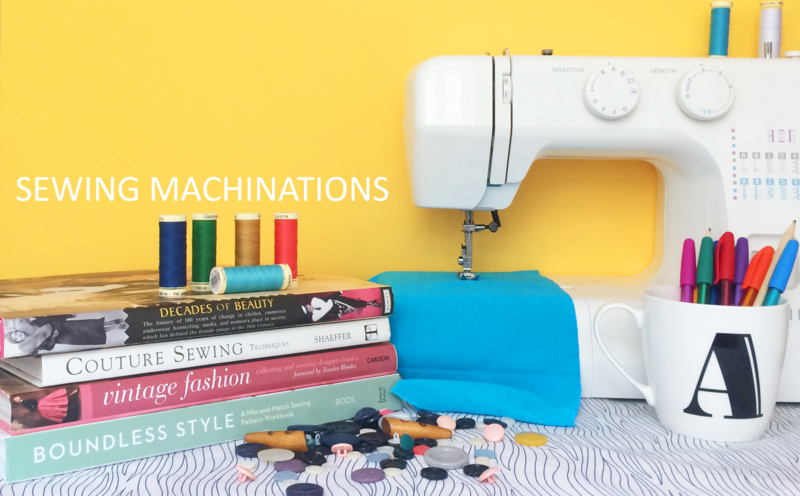 Love to read about your sewing plans and just read your sewing makes in general! Now, for your lovely fabric, it’s crying out to be a Kalle with long sleeves. Or maybe a Melilot? But I’m just obsessed with these shirt patterns! 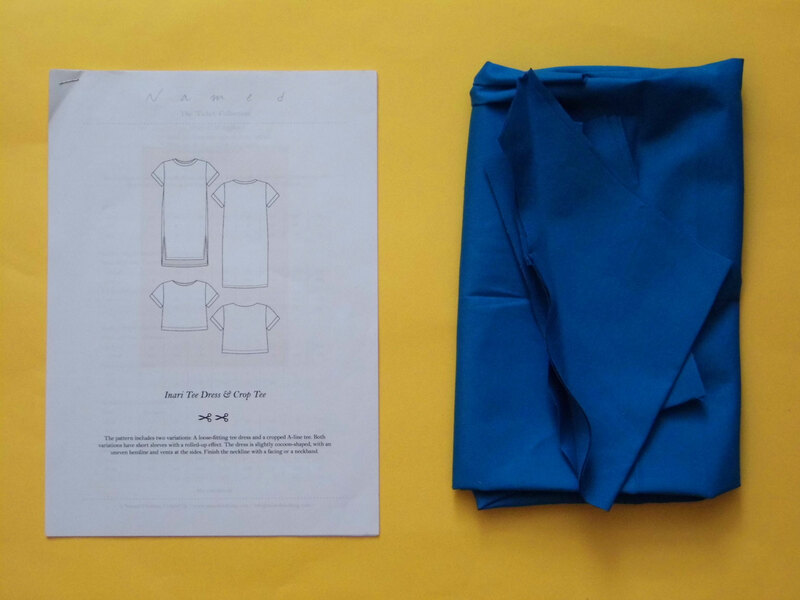 I do love shirts and shirtmaking, and maybe making one with sleeves would mean it could transition into the colder weather which forms so much more of our year than this unusual warmth! Next PostNext I’m the last person to make a Cleo and I love it!